It's finally here! The long awaited new album from Henric de la Cour. It´s already been four years since we released "Mandrills" and since then a lot of things has happened. 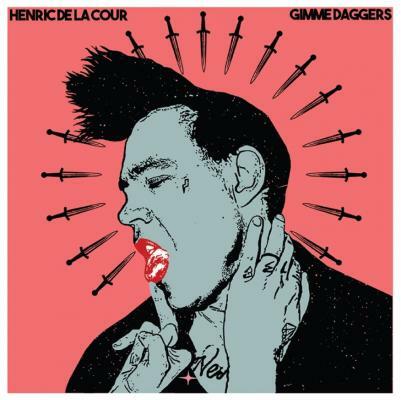 "Gimme Daggers" is Henric's most complete work since he went solo and will leave NO fans disappointed. The first 200 copies will be released as a limited edition 2CD version holding 2 additional tracks and is signed by Henric. This version is strictly limited to 200 and when it's gone, it's gone! Please note that we have a restriction of maximum 2 copies per customer. We really are not fans of people buying 5 and selling 4 on Discogs. The idea is to reach as many fans as possible. Available from 14 September 2018 by Progress Productions.